Colombia has more than 130,000 different plant species thanks to its range of climates and eco-systems, recognized as being one of the most biodiverse countries in the world with more than 4,000 kind of orchids, 3,000 types of butterflies, and 1,000 different species of birds. In Colombia you will find a climate for every type of plant! 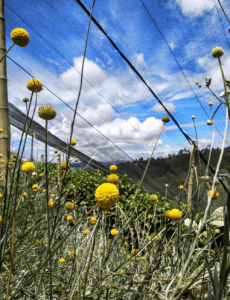 Just outside Medellín in the peaceful town of Santa Elena you’ll encounter a treasure of a different kind: fields of flowers! The vast majority of flowers that are purchased in the United States for Valentine’s Day are grown right here in Colombia. 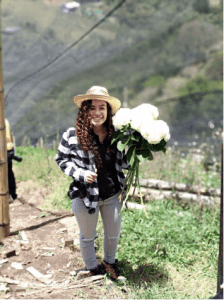 At True Colombia Travel we work every day to create personalized experiences for our guests and we have launched a new amazing experience called True Bloom, where you will have the opportunity to visit an enormous flower farm in Santa Elena and learn about the flowers production and cultivation processes before heading for exportation. 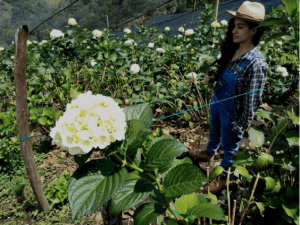 While you discover the most beautiful flowers you will also meet the workers of the farm and learn about their lives, before dining on a fresh, local, and regional lunch. various awards and shown their displays across the country. Silleteros are flower vendors, farmers who carry their colorful wares down from small plots in the majestic mountains around Medellin to sell in squares and markets.”Silla” means seat in Spanish, and men in this part of the world once carried wooden chairs, or seats as saddles, on their backs, to bear burdens of cargo like kids, produce, and dignitaries or nobles, also over time, silletero became a term indicating someone carrying a wooden framed container on his or her back. 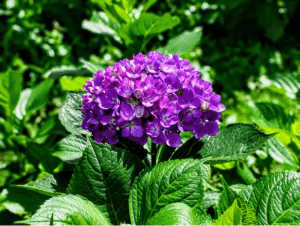 Which Colombian flowers are the most favored? There are thousands of flowers in Colombia but only three stand out: orchids, roses and carnations. Inside just one farm you’ll find 30 different colors. 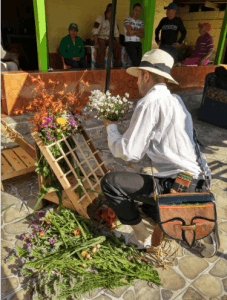 Colombians assign different meanings to the colors of their roses; handing red ones to lovers, white ones to brides-to-be and placing yellow roses on the graves of loved ones. 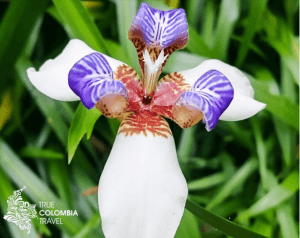 Colombia also has the largest number of native orchids in the world, with more than 4,000 different species and 1,543 that are only found in Colombia. What will you do at True Bloom? 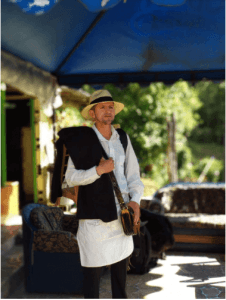 Unique visit to the home of silleteros – a highly cultural experience!